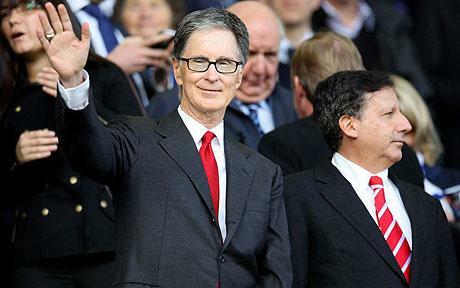 The New York Post has claimed to have insider knowledge on John W Henry quietly putting Liverpool up for sale, providing a prospective buyer offers over $2 billion – around £1.5bn. Their article says a source close to FSG has confirmed this, with Henry ‘passively’ rather than aggressively, in the slow process of selling the club for a massive profit on the £366m he paid back in 2010. Really, this is no surprise. FSG’s long-term aim with Liverpool was to make the club successful -financially and on the field – with the ambition of a mega sale. They’re American businessman with a passion for baseball first and foremost – what else could it have been? We highly doubt whether FSG will part ways with Liverpool any time soon, though. The kind of money they’re after is not something that gets done quickly – that’s if the reports are even true. For now, it’s not something that should necessarily concern fans. They’ve failed to put their hands in their pockets in the past, but this is slowly changing and the redevelopment of Anfield has been impressive. We are more than capable of winning things under their guidance, providing Jurgen Klopp is in charge.